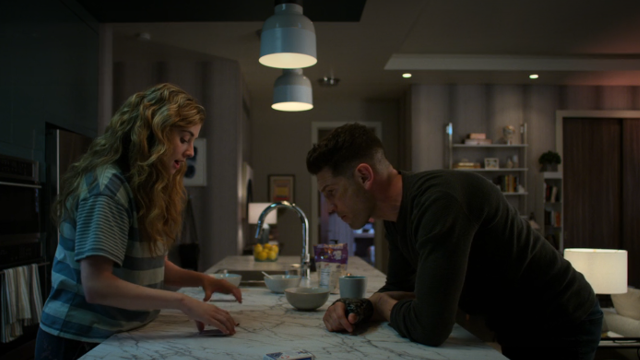 Amy is dealing Three-Card Monte and trying to teach Frank about being caught in a trap in The Punisher season 2 episode 5. She tells Frank that the game is rigged and that the only way to win is to not play. For Frank, not playing the game has never been an option. Pilgrim is back home with his sick wife and two sons. A zealot, Pilgrim is down in the basement flogging himself when Mr. and Mrs. Schultz come to call. The business with Frank, Amy, and the photos is not finished. The two have surfaced in New York, and the Schultz’s need Pilgrim to go there and finish his business. Pilgrim’s faith will be tested in returning to New York, where the Schultz’s found him. Rebecca tells Pilgrim to hurry up and complete his mission because she knows she is going to die soon and wants his face to be the last thing she sees. Dumont has a troubled veteran named Jake at her apartment for therapy. She leaves the door to her office open so that Billy will hear the work she is doing and possibly apply it to himself. 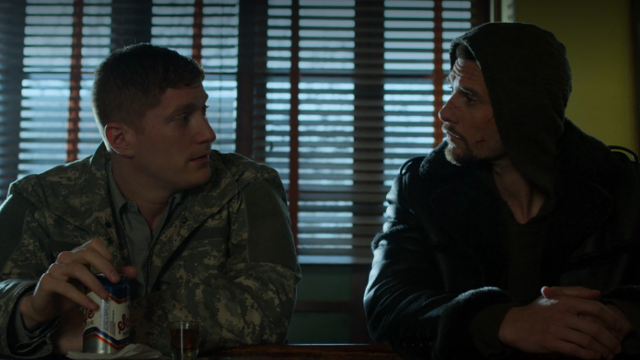 Instead, Billy follows Jake to a bar after his veteran’s support group meeting, where Madani sits in and shares her trauma. Jake pegs Billy right away and drinks with him because he knows that Billy feels the same way about the society they returned to after their military service ended. Back in her apartment, Dumont deals with her own fear. She opens the curtains in her apartment, leans against the window pane, and looks down at the street below until her vertigo and fear of heights drive her away from the window. Frank corners Turk Barrett and has him arrange a meeting with the Russians that Amy was working for. Turk goes to the gym where the Russians work out, telling Frank that they don’t allow guns in there, and asks for Sergei. Turk says that he has information regarding the deal in Chicago. The leader, Kazan, tells Turk that Sergei was killed in Chicago, then hold him hostage and force Turk to call Frank to confirm the meeting with the Russians at Turk’s shop. With the armed Russians waiting for Frank at Turk’s shop, Frank enters the gym to talk to Kazan. Frank has to fight off the Russian weightlifters first before Kazan reveals that the person who paid for the job with the photos is another Russian named Poloznev. Amy researches Poloznev and discovers that he is an ex-KGB agent now living as a billionaire mobster in New York. 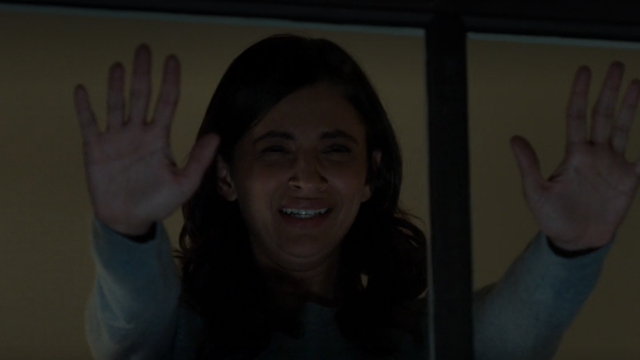 With that information, Frank and Amy leave Madani’s apartment for a place that Curtis arranged for them, with nothing but a stack of credit card receipts to show that they had ever been there. That night, Pilgrim arrives in New York and begins tying up loose ends by killing everyone in the gym, including Kazan. What did you think about The Punisher season 2 episode 5? Let us know in the comments below! The post The Punisher Season 2 Episode 5 Recap appeared first on ComingSoon.net.